Life is complicated - love, family, work... Knitting is simple - it's about imagination and creativity - about connecting with history and about connecting with my inner self. 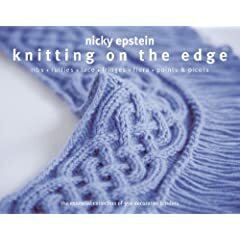 People knitted in ancient Eygpt, in the Middle Ages, on boats fishing off the coast of Scotland in the eighteenth century and today. Pretty amazing really. When I knit I relax, the rhythm allows my mind to wander. I solve the problems of my world! so how's the knitting going????? Well that would be THE QUESTION really. But I am still in a holding pattern... I really really really need to finish some of these 12 UFOs. I keep buying yarn, and I have so many other projects planned, but I really can't embrace the joy of the new without completing something first. The rocket pattern is from here. The wombat came as a Panda kit, which Mr S and I bought on a road trip to Beechworth earlier this year. We stopped in at the Wangaratta Woollen Mills Factory Shop on the way and bought some black mohair to make this (eventually) and the wombat. Winter in the garden is one of my favorite times. I think because so many plants are asleep, it can appear as if times are lean. 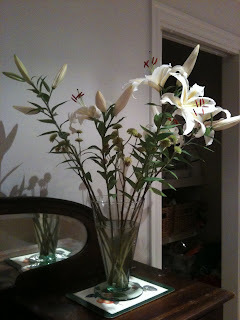 I think that that focuses attention on any flowers, berries, coloured leaves or interesting shapes that are on display. Whether it is the architectural framework of a deciduous tree or the flowers from winter bulbs. I have been enjoying Galanthus sp, Iris reticulata, species Hyacinth and various Narcissus hybrids. But one of my favorites is the hellebore. I grow many different species, but the Helleborus orientalis hybrids are the most eye catching. I have been picking a few of the flowers and bringing them inside to float in bowls. While many good varieties are now available, mine mostly came as plants from Ian Collier, Peter Leigh, Otto Fauser or from seed from Jim and Jenny Archibald and Blackthorn. As a child I loved baking cakes, and as an adult I still enjoy it. There is something so nourishing to the soul about the process of creating a cake. 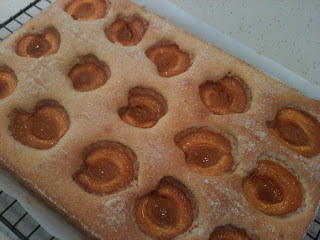 Over the last little while, I have gone cake mad... encouraged in part by Mr S, who it turns out loves to cook too. I bought a startburst bundt tin from Target (of all places) for an extremely modest price. Certainly, if I compare the cost to some of the Nordic Ware tins, the price differential is staggering. While I love my daisy tin, I think the startburst is great too... even if it turns out not to have quite the longevity. I used it to cook a Chocolate and Vanilla Marble Cake. The recipe comes from one of several new books I have. This one is called 'Mmmm... Chocolate'. Sadly there is no author credit, but this cake, using only 70g of butter and one egg (but real chocolate and cream) is moist and delicious! I have always wanted to make a pineapple upside down cake. 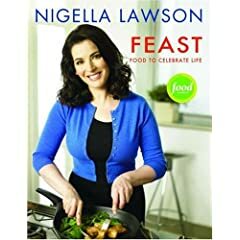 When I bought Nigella Lawson's 'Nigella Express' cookbook I had the right incentive. I have a rule that if I buy a cookbook or magazine, then I should be prepared to make at least one thing from it. I don't religiously stick to that rule (that's how you know it's a rule, right? cause it gets broken!! ), but I'm glad I did. This cake is so so easy, not to mention delicious. And finally, from the 'Bourke Street Bakery' by Paul Allam and David Mcguinness, a really scrummy chocolate cake, with a chocolate mouse filling. the cake itself has potato flour, sour cream, buttermilk as well as all the usual stuff. The book suggests piling raspberries and icing sugar on the top, but I iced it with chocolate ganache. Unbelievably good. Continuing on my obsession with chocolate chip cookies.... 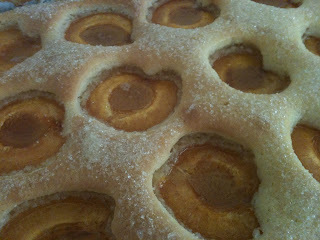 I made several batches for Mr S' school carnival... which truth be told was a little while ago now. I am just catching up on my blogging... and this is when the pictures below were taken... but I made them again a few weekends ago and froze batches, which I am now baking as required for school lunches. I cooked one batch last Monday morning as I scooted around ironing clothes, making breakfast and generally doing the early morning panic thing. So so so so so good. Chocolate Chip Cookies - for me!! I have gone insanely mad for there chocolate chip cookies. 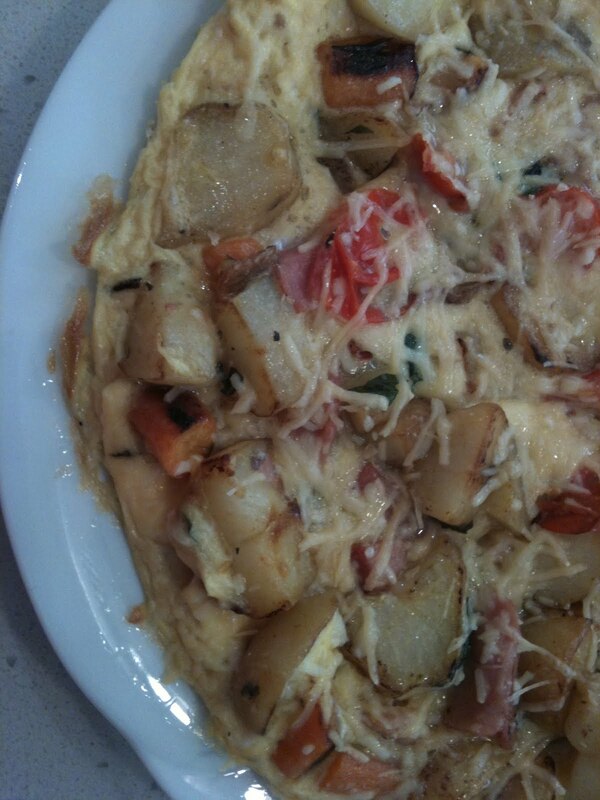 The recipe is from Bill Grainger. Very easy and super scrum. The new year is a time for reflection and resolutions. One of mine is to finish off a few of those irritating knitting projects that just lie around unfinished. I HATE unfinished projects with a passion. So much so that I can barely acknowledge their existence. I like to think of myself as 'task orientated', a 'finisher'. Projects that just languish half completed annoy me to my core. I would rather rip them out and use the yarn for something else, than leave it sitting half knitted in a bag somewhere. But there is another part of me that hates to admit failure. Incomplete projects just reek of it, and I can't stand that either. So if I think there is even a glimmer of hope that the project can be resurrected, then I would prefer to think that it is just taking a 'little rest' and I will get back to it shortly... even if shortly means several years! So here is my confession... I have at least 12 of these naughty little secrets, which I have been brooding on for some time. My commitment to myself is that this year I will either finish them or I will rip them! I want the slate clean. I finished one sock and was worried I wouldn't have enough yarn to finish the second. I need to just get on and find out! No use dying wondering. This is a lovely lace pattern. I dropped a stitch and couldn't easily work out how to fix the problem. So I just put them to one side. I need to rip them back a few rows and start again. I finished the back. It took me ages to knit it and then I wasn't sure I liked it. It was also miles too big for Mr S at the time. Now it would be perfect, and going back to it now, I actually quite like pattern. I finished the back, but I am worried that I don't have enough of the main colour to finish it. I should just get on with it and stop fussing! I hate it! He loves it... it will make a fun jumper for running around in the backyard playing. I have one more sleeve to finish and then I have to sew it up. I just have to sew on the beak, wings and sew up the back... less than 90 mins work! I was going to finish this during the Christmas holidays! Really!!! I had procrastinated cause I though I wouldn't have enough yarn... but now I know I do... so no more excuses... Right! and while on holidays I did lots of baking. I have been wanting to make this fresh apricot slice. It's a Bill Granger recipe. Also delicious. 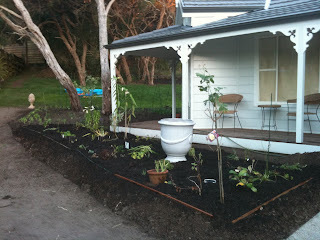 and the garden progresses - I have started to make the front garden. 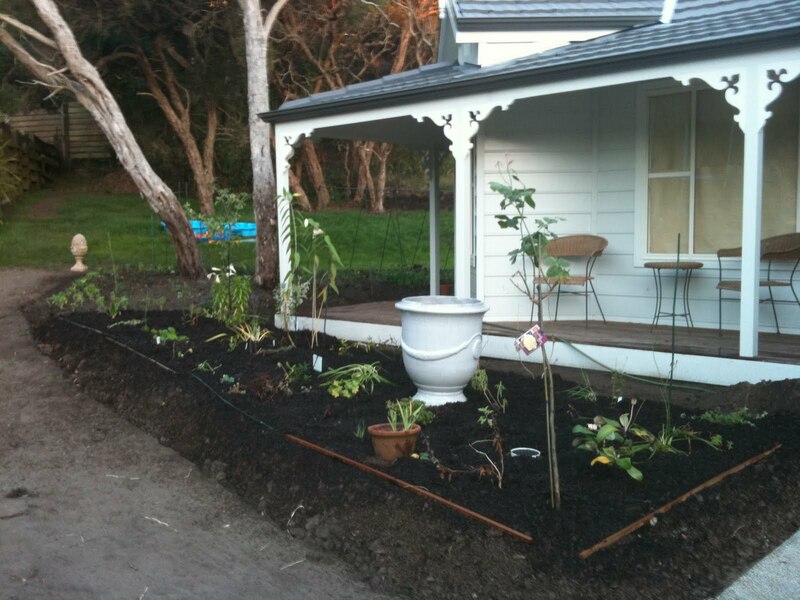 It will be a double mixed border filled with perennials, bulbs and shrubs, with a Crateagus tanacetifolia. I love knitting. It is creative and allows me to connect with my past and present. It brings me inner calm. I also love reading, good food and I am a keen gardener. My Blog isn't just about knitting - but it's a central theme. I am interested in design and have studied landscape architecture. I work in the city and live on the coast. I love the contrast. Jez Alborough: Where's my teddy?